If you are a current member simply refer a friend and receive a month's membership free plus entry into our prize draw to win a year's free membership. Our latest 'Refer A Friend' Winner Announced! 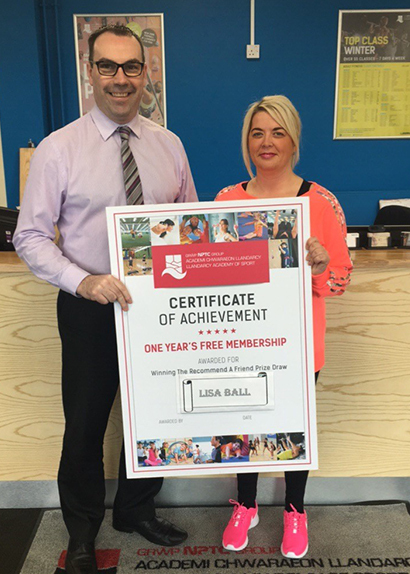 Llandarcy Academy of Sport are happy to announce that Lisa Ball has received One Years Free Membership thanks to our Refer A Friend Prize Draw. Lisa is pictured below receiving her prize with Wyn Evans, Managing Director, Llandarcy Academy of Sport (R).